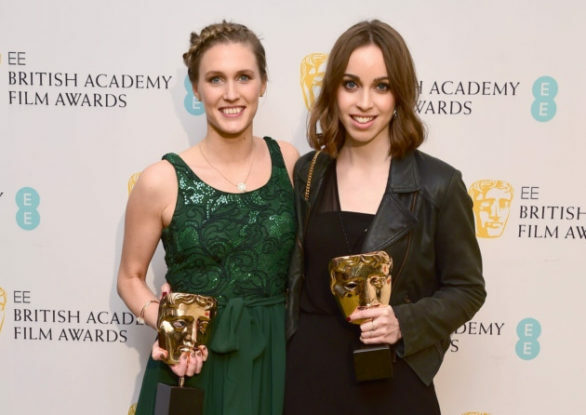 Back in 2015, my younger daughter, Rebecca, and a friend, Caroline Bartleet, who were working for a film production company, decided to crowd-fund and create a short film, from an idea of Caroline’s, inspired by her hearing a 999 call while researching for her day job. Caroline would be the writer and director; Rebecca would be the producer. They got a team together, all in the industry, many of them working for love or favours; they raised the money they needed through Kickstarter; and, after months and countless hours of planning, filmed it over one weekend last year. The resulting short film was Operator. Meanwhile, of course, they carried on working in their jobs. Because you have to pay your bills. Operator went into post-production and was ready last May. They started submitting to festivals, with no expectation of anything. It was picked up by several festivals, most excitingly the BFI London Film Festival, where it had its UK premiere. Just before the news of LFF came, Rebecca went freelance, with a leap of faith and bravery. Then, astonishingly, it was nominated for a BAFTA. We knew it was good, because we’d seen it at the LFF premiere and we’d seen it with other audiences and witnessed their reaction. But a BAFTA?? Incredibly, they won. An actual BAFTA. She has her very heavy golden trophy to prove it. Personally, I think it should stay in our house – so much safer. I would polish it, too. They followed their hearts, gambled with their time and immense effort, and the generous help of all their Kickstarter supporters, and they won. Beyond their dreams. Huge luck, of course, but nothing venture, nothing gain, and that was down to hard work and skill. You can’t see the whole film yet but it will go on-line soon. Be prepared, it’s very powerful stuff. When it was shown to an audience at a private viewing for LLF films, the man sitting next to me gasped out loud at the end. Of course, her family is beyond proud of Rebecca for achieving something so very unusual. But I think I’m most proud of her for having the guts to set out in an industry where nothing can be taken for granted, where pay is low and often non-existent, and where you have to be really good and hard-working to get anywhere at all. Now I just need to alter my biography to say “Mother of BAFTA-winning film producer”. I think it suits. Its fantastic – good luck on the Roller Coaster that is Showbiz – such fun – I cant wait to see it on a big screen. It definitely does suit! I love to hear stories of success and you are a rightly proud ma!